Professional Experience: This past summer, Neha interned at FTI Consulting where she rotated between their Corporate Finance and Financial Valuation Advisory groups. Working in the LA office, she assisted with projects that mainly focused on the entertainment, media, and telecommunications industries. For summer of 2019, Neha will be working at Perella Weinberg Partners as a Summer Analyst. 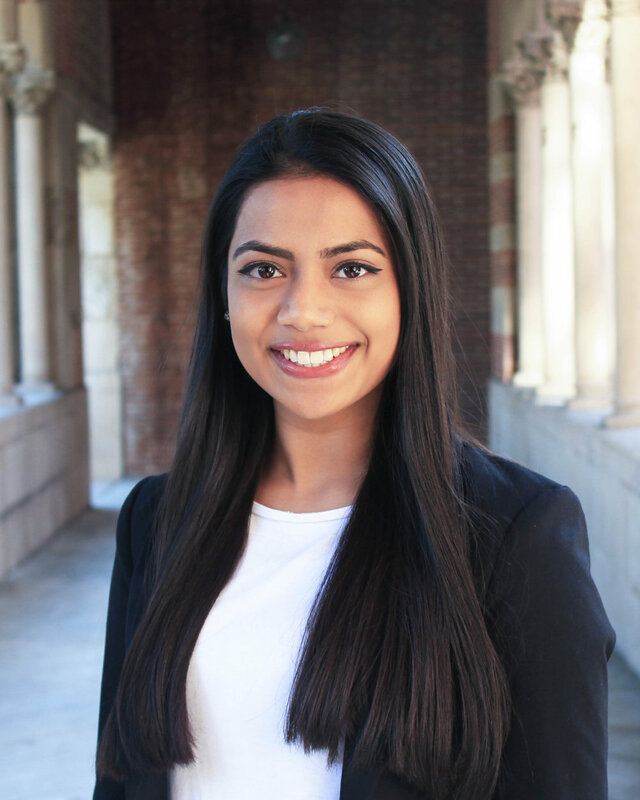 Bio: Growing up in Fargo, North Dakota, Neha always knew she wanted to attend a college like USC. She enjoys being involved on campus and is currently part of Global Brigades, Trojan Investing Society, and Trojan Marketing Group. In her free time, Neha enjoys exploring LA’s food scene, staying active, and traveling. She also loves to fuel her caffeine addiction by drinking chai and coffee.